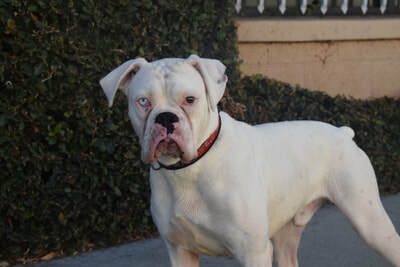 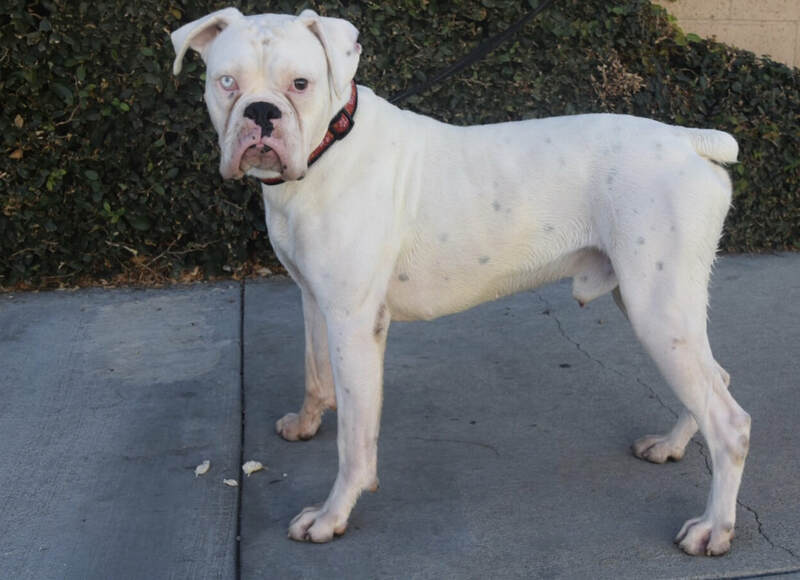 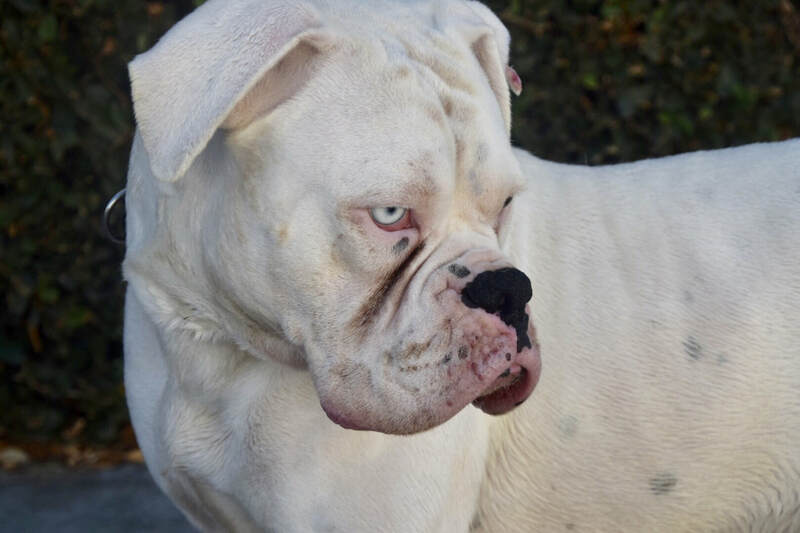 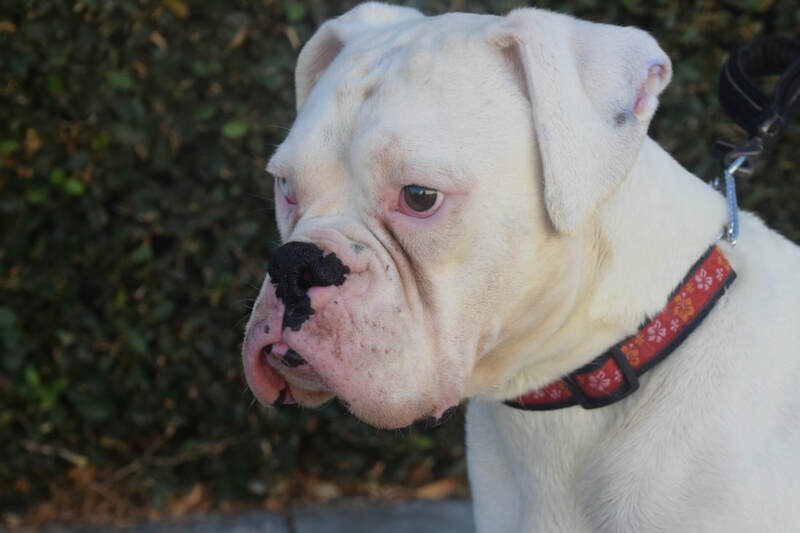 Though his name is Ghost we can most certainly assure you that this snowy white Boxer is no apparition. 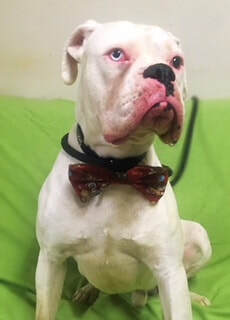 The G-man is as real as they come. 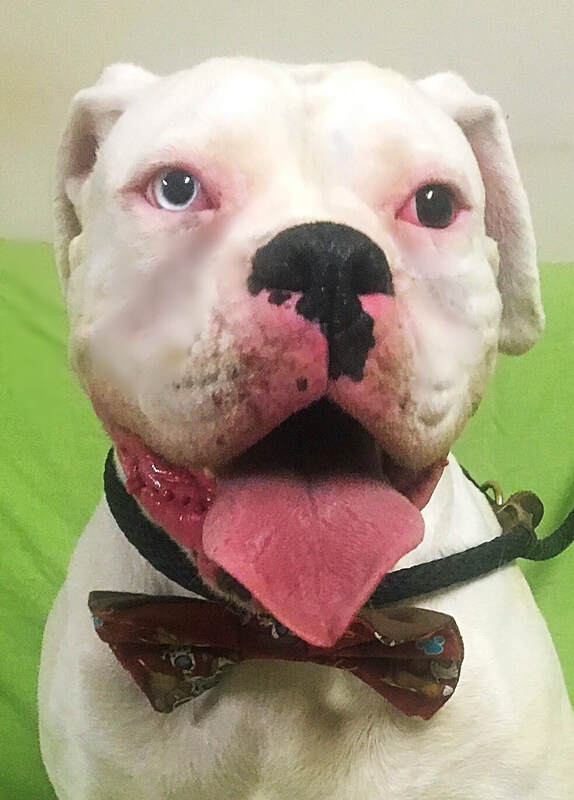 He's been rapidly stealing the hearts of our volunteers with his charming demeanor and hauntingly handsome looks. 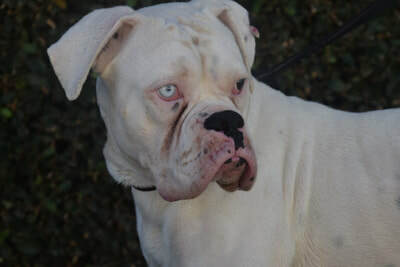 With one icy blue eye and one chocolate brown one, this ethereal pooch will have you floating on cloud 9!